The Packaging Store has deep expertise in crating, packing, palletizing, boxing and shipping services. It doesn’t matter how big or how many, at the Packaging Store, we create custom crates for international and domestic shipping. We craft our wooden crates to meet your needs, including ISPM-15 certified crates for shipping internationally. Fine art? We crate and ship that. Motorcycles or jet engines? The experienced, professional packing and shipping experts at the Packaging Store have never seen an oddly-shaped or extra-large item they couldn’t crate and ship. Need on-site crating? We have you covered with custom packaging. If your item is too big for you to get to us, don't worry: we'll come to you and design your wooden crate on site. If you're shipping internationally, our shipping crates meet the import requirements of any country. 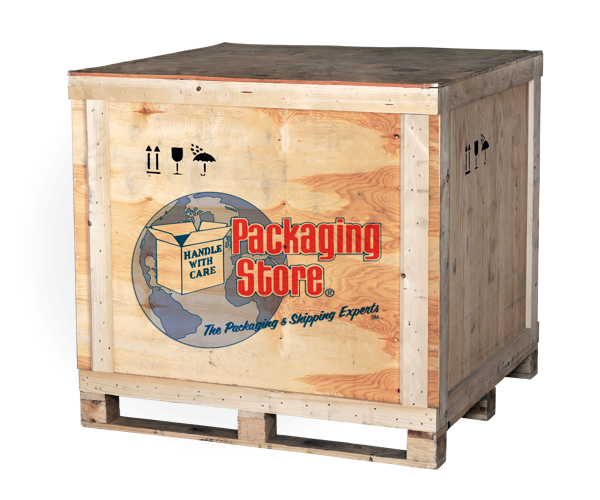 The Packaging Store is a shipping and crating company that balances value and budget to fit your needs.